Well, when it comes to security issues, we should always be prudent what facilities we apply to guarantee maximum safety to our clients. Moreover, taking into consideration the fact that hackers are constantly looking for ways to break in and sneak in the system, our task is to fortify it as much as possible. We, therefore, would like to talk about Cybersource Tokenization Magento 2 Extension. In essence, this module can become your shield which is capable of protecting the sensitive data on your website. 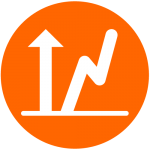 With the help of the tool, apart from providing maximum security, you will also be able to optimize different payment transactions processes for you as well as for your customers. The cybersource extension will assist you in managing saved cards, facilitating the process of full and partial refund as well as invoicing. However, before we get down to the descriptive part of the Cybersource extension, we would like shed light upon some particularities of Payment Card Industry, often called PCI. Basically, PCI defines standards for card payment transactions that are to be complied by an e-commerce business owner. Thus, one of the requirements it imposes is NOT to store credit numbers in POS terminal or in its database. Therefore, merchants have 2 options: either to buy an end-to-end encryption systems module which, actually, costs a lot or utilize the services of authorized third parties that apply tokenization. In the second case, the provider is responsible for storing the data of cardholders, making it as secure as possible. To learn more about what standards Payment Card Industry have, you can follow Magento PCI Compliance page to get familiar with them. 0.1 What is CyberSource tokenization and how it works? 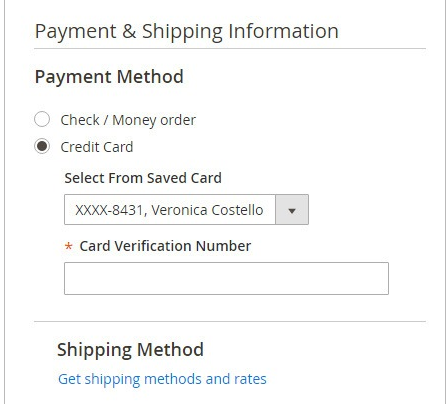 0.2 Provide your customers with an option to save their card on checkout page. 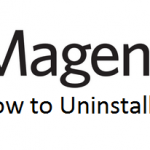 1 How will your customers and admins benefit after Magento 2 module installation? What is CyberSource tokenization and how it works? CyberSource Tokenization Magento 2 Module is a trustworthy widely-applied tool which is utilized by more than 400,000 businesses, assisting in payment process automation and simplification by leveraging, as we have already mentioned, tokenization method. However what is tokenization? Tokenization is a technology which provides security facilities to guarantee that sensitive data (customer credit card number) cannot be hacked by replacing it with randomly-generated values (called tokens). For token creation as well as management, the Magedelights’ module applies Simple Order API. Please see the picture below to understand the whole purchase process, applying tokenization method. 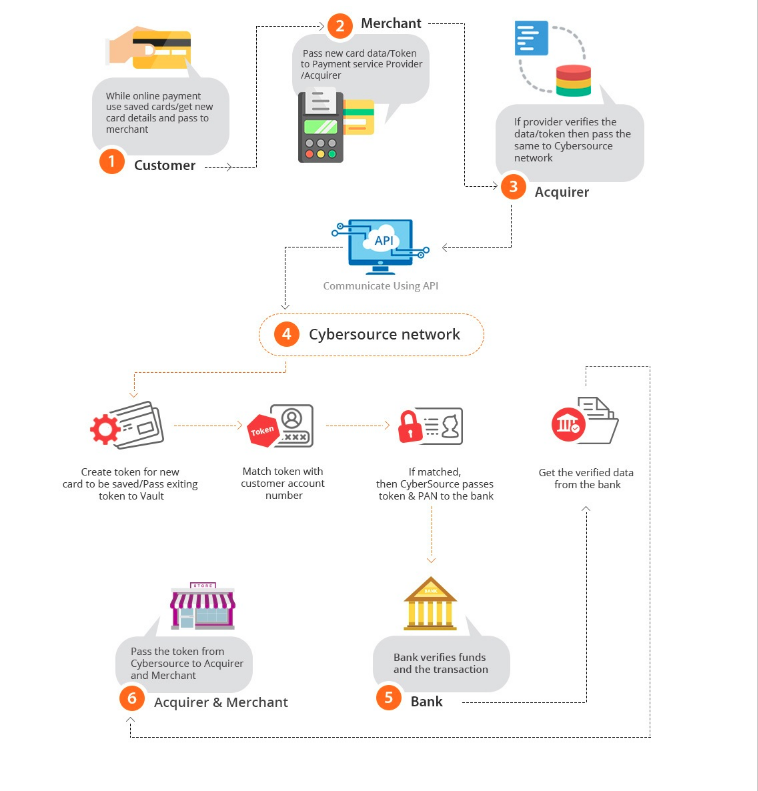 As you see, the approach which is provided by CyberSource offers e-commerce business owners maximum security to make sure no one get access to customer sensitive data. 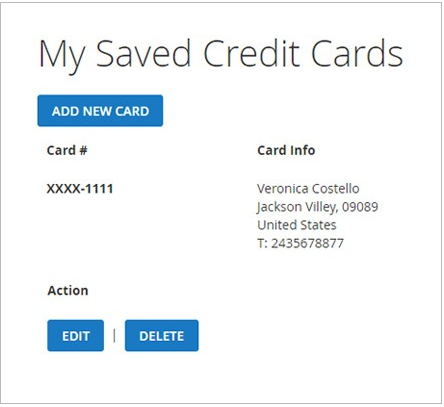 Provide your customers with an option to save their card on checkout page. With the assistance of the module, you will be able to allow your clients to save their credit cards to utilize them for future use in order to accelerate the checkout process finalization. Once you apply the tokens, there is no need to worry that somebody can get access to your sensitive data for it is stored on CyberSource server. 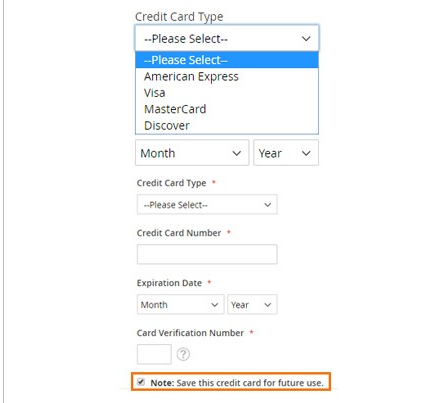 Your clients can save as many credit cards as they want, and the extension will automatically generate different values for each card. The Extension developer company realizes that apart from providing tokenization technology, it should offer multiple payment options to your customers. 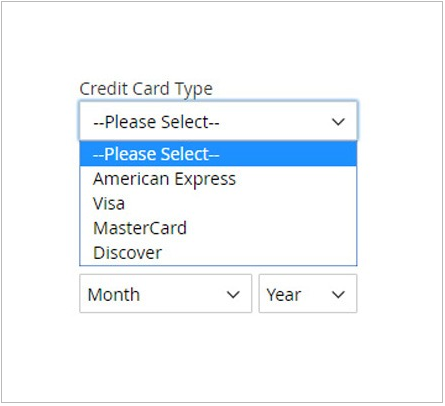 Therefore, your website users are able to choose an option from variety of credit card types. Cybersource Tokenization Magento 2 Extension, in fact, provides an intuitive interface so that your customers could easily modify already existing credit cards or add new ones. They will be able to do so in their accounts. Having installed the tool, the module will allow you to utilize credits cards of your clients in the backend of your Magento 2 storefront, being able to place orders instead of your customers. However, the security is guaranteed for in order to effectuate this process, an admin is to enter a verification code which is provided by CyberSource. 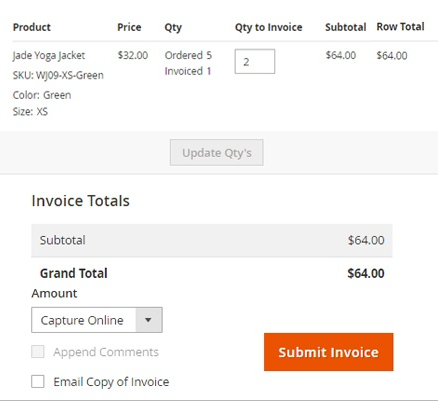 Apart from security measurements, with the help of this Magento 2 instrument, it is possible to create as many invoices as you wish. You can go to the module backend, choose the order you are interested in, and create invoices of different quantity. As a result, you are able to receive the payment for each invoice in an independent manner. In case, there is something you would like to know about invoice details, you can simply go the order history to view all the necessary data. 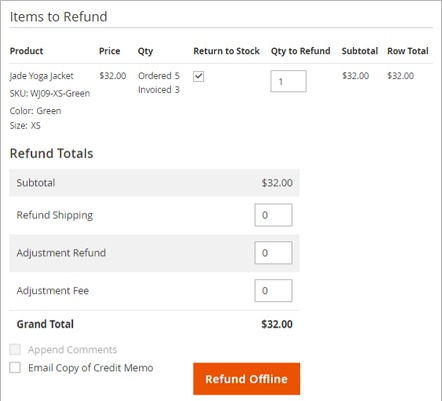 To optimize the full or partial refund management, the Magento 2 extensions provides your website administrators with an ability you to create credit memos with the assistance of which a refund will be processed. No matter what item it is or how many units are ordered. To see all the Refund Items details will not be a problem for your administrators, for the module allows them to do so. Once you install the tool, you will certainly pay attention to the variety of options it offers to you. Thus, you will be able to leverage various payment options, define how exactly the saved cards are going to be managed, determine what countries are able to make purchases in your webstore as well as enjoy payment capture when certain credit cards type conditions are met. How will your customers and admins benefit after Magento 2 module installation? 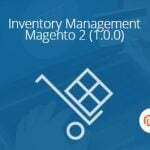 In short, provided you have set up a goal to optimize the security of your website, improve customer experience, and acquire new useful features for your e-commerce business, this CyberSource Tokenization Magento 2 Extension will make a huge impact on the way things work in your webstore.